I received this book a while back for an honest review. I've tried to read it a few times on different occasions, but only recently finished. 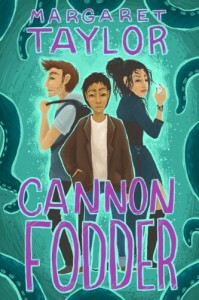 Cannon Fodder follows the exploits of Alec Nightshade, a 15 year old boy who is an evil overlord in the making, with hopes to stop heroes from killing everyone he knows! I definitely think the idea of the book itself has an interesting premise. I think there were points that I didn't connect with as much as I liked, but I think the book itself is an interesting story. I'd rather break the plot down with things I could, and didn't connect with, as it would be easier to tell whether this is a story is or isn't for you. The plot itself. I think you have to actually read the book to come to this conclusion, and while it isn't down to a science or anything, it reminds me of "Despicable Me" , maybe even a little bit like "Sky High" just not as kiddish. I think I'd like to read more villain-kind-of-hero stories more often, mainly because I think the best villains are three dimensional characters, who should have goals and strong character development as much as the hero of the story, otherwise they come off as rather campy. I suppose Alec isn't a true evil overlord in the making. To quote Rocky from my favorite show "Some Girls"
Being raised in the Norgolian Society of Evil Overlords(or NSEO) environment, he has a lot of street smarts(knowing to trust no one, even your own kind, because, who can really trust an evil overlord right?) but I think there was too much good in him to truly be evil. Alec was a hero that was flawed and made mistakes(really questionable ones, those types you can't go back from, good or evil) which is what I found relatable about him. I think that I liked his character so much, I kinda thought most of the other characters kind of paled in comparison. I'd rather talk about that a bit later though. The story has it's own world, which seemed interesting. Villains and Heroes seemed to have their own networks, ways of communicating with one another, transits they used, and many other things that matched the world. While the character names were pretty out there, I'd rather give an A for effort, because they were different, and I always go for different versus common. The only thing I'll say about them, is I'd have no idea how to pronounce a name like "Ionantha!" The humor! It was funny. I thought that was very cute, especially because most books in the YA category aren't very funny. Sometimes it was most funny, when the characters were trying to be taken seriously, and after a few books that were really serious(no breather moments) it was a breath of fresh air to read something that didn't give me a night terror or two. The language. Not the writing style itself, but much of the terminology that was specific to the story never slowed down enough for me to understand what it meant. Much of the time, I'd have to read further into the book to understand something, that took me chapters to understand, well I'd read and forgotten the detail. I know books only have a certain amount of pages to grab you, but I think if it's intended for children or young adults, with their short attention spans, they may not continue a book that doesn't gain their attention long. I didn't always find the POV clear, but it could've been because it was 3rd person, and I just assumed the story would be told from Alec's POV, even if it was a bird's eye view. Whenever it wasn't told from the POV of Alec's I was a little bored, and couldn't wait to get back to him. Race didn't seem like a huge issue in this book, but because of the world, outside of someone being dark skinned, I couldn't always tell if there was a ton of diversity. There are a bunch of cool female characters, and as far as I know Alec is definitely a man of color(possibly something else too XD lips are sealed) but I just think I would've like to see more. The title. I think it suits the plot(or at least to me, considering the clash between hero and evil overlord) but I don't think the intended audience would automatically get the reference unless they read it. The title wouldn't normally provoke anything from me, even though it's not a bad one. I just don't connect to it. I think the cover is ok. Im not saying it could've been better, because it is a cool picture, Im just saying I wouldn't pick it up in a bookstore. I like that Alec is front and center, but maybe I would've liked it better if it'd just featured him on the cover. Scrolling up, Im realizing this review is longer than I intended it to be XD I just really want a reader to make up their own mind, as these are just words. 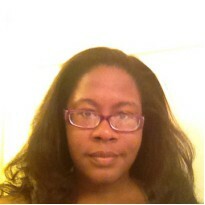 What I didn't connect with, might the fews things another reader loves. I definitely think anyone who likes reading a non-conventional hero would really like "Cannon Fodder!"